Amy’s eyes widen and she shakes her head. “Well, I enjoyed it…” she says, her voice trailing off, and she heads back to her desk. Yes, I’m the office history geek, and I bristle whenever Hollywood decides to make a movie supposedly based on a historical event or even just a story based within a particular historical time period. For me, going to see a historical movie is almost always just an opportunity to point out the ridiculous details that the movie gets wrong. However, the problem is that very few people who see these movies realize that there are any errors at all, meaning that they walk away from the theater with a false understanding of history and no motivation to seek out the truth. 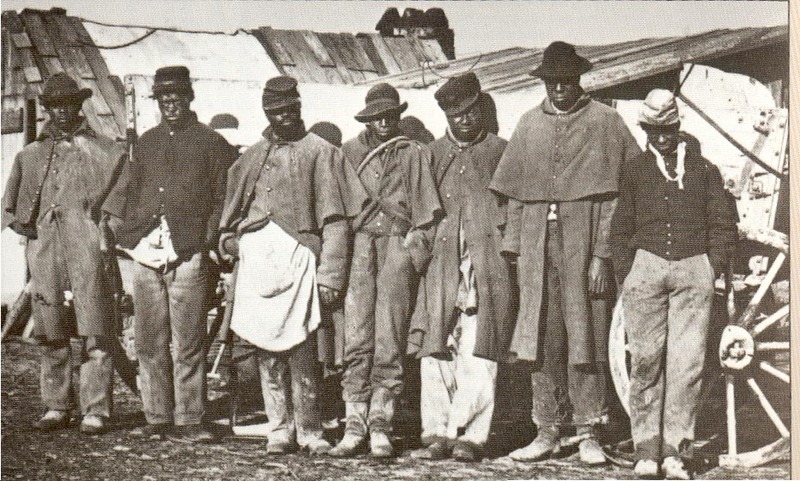 Actual black soldiers in the Union army. Hollywood has built an empire on storytelling, not on truth telling. As a general rule, movies have no problems bending the truth or even snapping it in half altogether, as in the 1955 release of The Far Horizons, which pitted Meriwether Lewis and his purported love interest Sacagawea against the nefarious French trapper Charbonneau. If this had been accurate in the slightest, it would have made for a very awkward road trip, as Sacagawea was, in fact, married to Charbonneau. Not only are filmmakers unconcerned about the accuracy of their storylines, but they also add modern behavior and attitudes to period roles, presumably to allow modern viewers to identify with the characters. My least favorite trope is the “independent woman” set in a time period when women were not given political rights or even much of a say in anything. A great example of this is Cate Blanchett’s role as Marion Loxley in the 2010 film Robin Hood. If the entertainment industry were to be believed, in every historical era (or at least, in every historical era that makes for good screenplay) there have been hundreds of women not only protesting their downtroddenness verbally, but actually taking up arms, or sneaking into lecture halls and mocking the intellectuals there—presumably to make them see that all women are intelligent, sensible, and mature. However, all the blame for these awful movies cannot be placed at the feet of the movie industry. The average consumer is also culpable. At their very best, the uninformed public is simply lazy, preferring to have their facts served up with a disproportional serving of sugary entertainment. For proof, one need only look at 2001’s Pearl Harbor. The deaths of almost 2,500 Americans were, apparently, not dramatic enough, so the writers added a creepy love triangle to both thrill and disturb their audience. At worst, deliberate ignorance on all levels is at epidemic proportions. As a former high school tutor, I was aghast at the lack of historical knowledge that I found in tenth and eleventh grade students. In college history classes the ignorance is even more appalling. By one’s second year in undergraduate education here in the US, it can be expected that a student will have a decent grasp of United States history, but such is not the case. Students have plenty to say about the Peace Corps and Habitat for Humanity, but not do even know the name Nathan Hale or John Jay. While I have heard the argument that these movies and TV shows inspire people to research the history that is presented, I must say that as a whole, the entertainment industry doesn’t point out how far their narrative is from the truth; nor does it make the true stories readily available, and the average person is too lazy to dig for them. Even if someone were to hear Lincoln’s issues corrected (probably from me! ), first impressions generally stick. It’s much easier to remember the vivid pictures on a 70’ IMAX screen than it is the dry details in black ink on a white page. 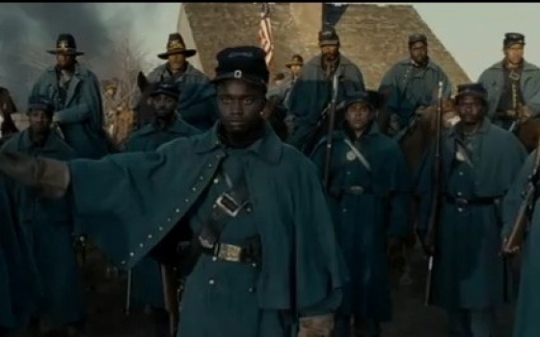 I cannot blame the entertainment industry alone for the pitiful lack of historical knowledge in the United States, but I can and will say that it is irresponsible to make so many deliberately inaccurate movies without doing more to make sure the audiences knows that they are not seeing what actually happened. I also hold each individual responsible for educating themselves about the fascinating subject that is the history of the human race. Lastly, I put the obligation on those true students of history to speak up when they see inconsistencies and inaccuracies in entertainment. We have a society that is, as a whole, woefully ill-informed and too lazy to do anything about it; and Hollywood is feeding the problem. Perhaps with a concerted effort, entertainment can become more accurate, and entertainees can be better educated.